You asked for it, so we made it. The ultimate upgrade to suits the ARB Deluxe Bull bars. This is an easy drop in solution to your existing ARB fog light housing and will transform the little yellow puddles of lights to a high performance 5700K LED, with built in Day Time Running Light function. Our optics retain a very sharp lateral beam making these an excellent upgrade to penetrate below fog. Fog has a tendency to slightly hover above the tarmac and the idea behind the sharp lateral cut line is that the beam pushes underneath the fog to provide usable illumination, with a very wide coverage. Stock is boring, which is why we created a beautifully engineered & designed LED Fog Light upgrade with integrated Day-Time Running Light (DRL). 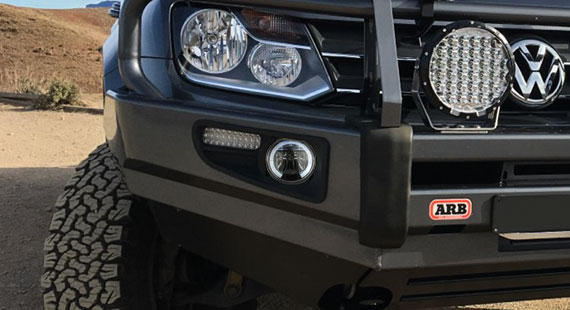 Design by STEDI to specifically suit the ARB Deluxe bull bars. This is the one you we've waiting for. We know you're tired of removing your bash-plate to service burnt out halogen bulbs or replacing broken fog lamps. Replacing bulbs is a thing of the past thanks to Solid State LEDs which we guarantee for 30,000 hours. No more broken lenses thanks to the automotive grade poly-carbonate lens. Designed to fit the existing ARB fog light shroud using all the stock mounting points. The above night shot characterizes the performance increase over stock perfectly. Powered by 5700K high performance LED's bounce off of a hooded reflector to form a very flat and ultra-wide light beam. The difference in brightness is extraordinary. 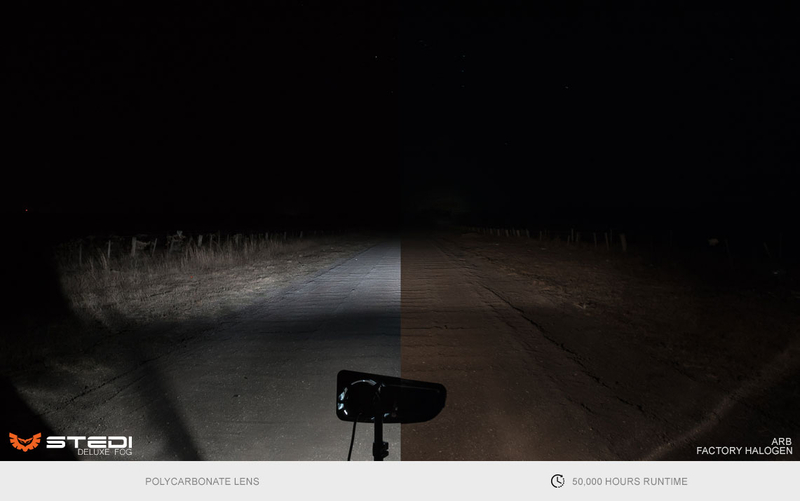 UV Stable automotive grade Poly-carb primary Lens | Unlike the OE ours lens wont break! 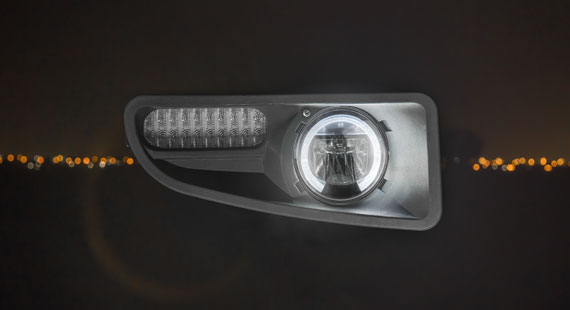 Uses the same terminals as original ARB fog light for easy installation. IP67 Ingress Protection | Protected from immersion between 15 centimeters and 1 meter in depth for 10min at a time. Fits ARB Fog Light Kit Part No: 6821201. 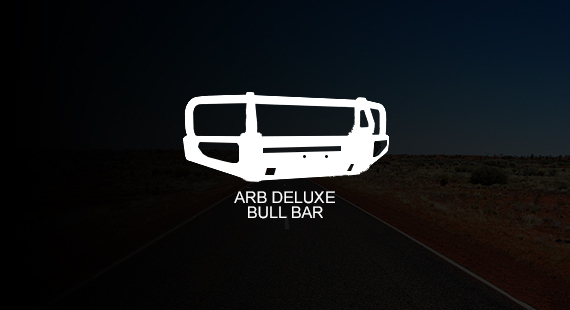 If you're unsure whether your ARB bullbar is eligible feel free to get in touch with us for advice.